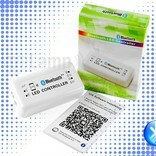 Bluetooth single colour LED controller with APP (V2) (newest V2 version) with extended APP. Control your single colour LED ribbon through Bluetooth straight from your smartphone or tablet. 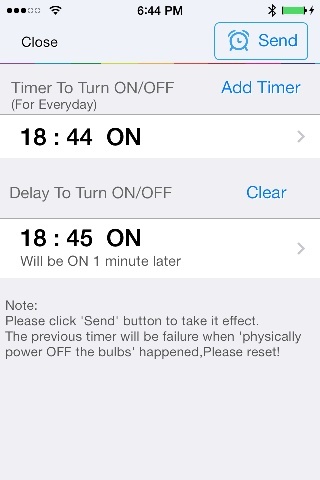 Extended settings and timer with time schedule. 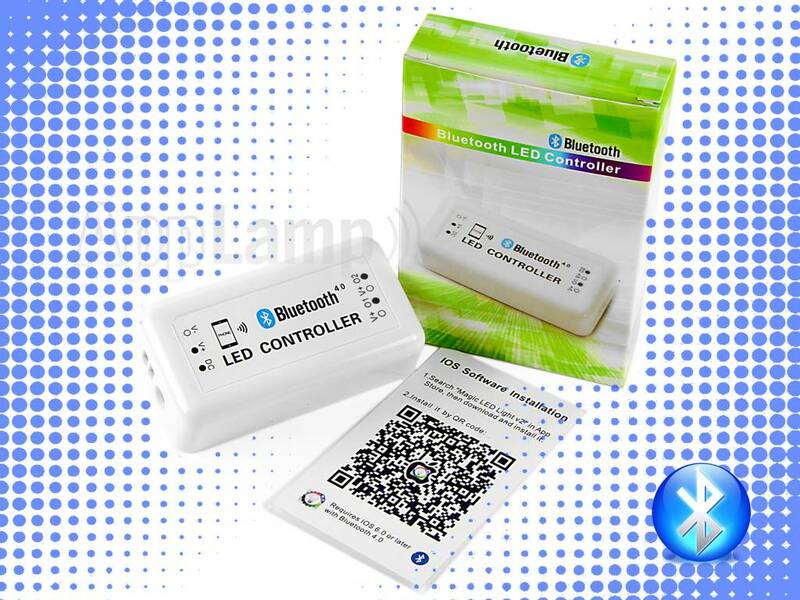 BLUETOOTH 4 single colour LED ribbon controller, the latest version 2 model with the fabulous APP for smartphone and tablet (iOS and Android). 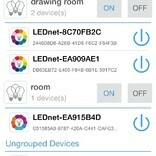 Control your CCT bi-coloured LED ribbons directly through Bluetooth straight from your smartphone or tablet. 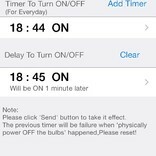 The Bluetooth APP is equipped with a screen on wich you can set timers so your LED lightning turns off and on at certain times. This is ideal for when you are on vacation and you wish your LED lightning turns off and on automatically. It's also handy to automatically control LED publicity panels. 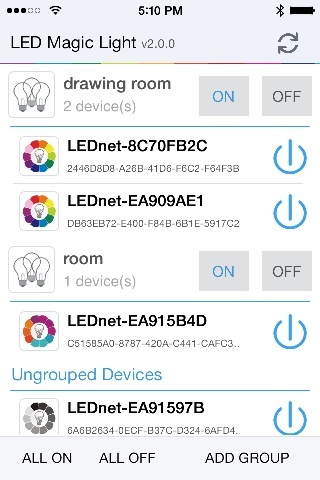 Without a hassle you can use multiple Bluetooth LED controllers and control them individually or in groups, all within the same APP. A smartphone or tablet with Bluetooth version 4 support and the free APP download, link included in the packaging. A 12 Volts (or 24 volts) power supply. A Dual White LED-ribbon or two single colour LED-ribbons.